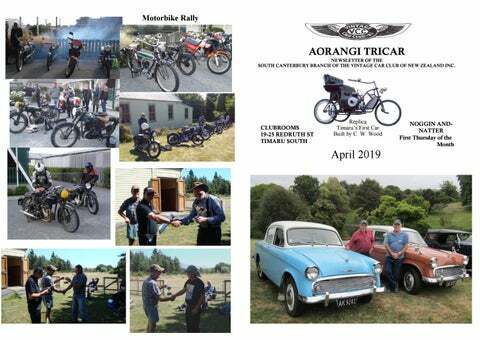 AORANGI TRICAR NEWSLETTER OF THE SOUTH CANTERBURY BRANCH OF THE VINTAGE CAR CLUB OF NEW ZEALAND INC. They have 171 vehicle entries. Great weekend of motoring and fellowship is assured. 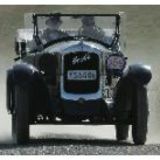 Penrite Oils Just to let you all know that I am still able to supply you with Penrite Oils for your Vintage Vehicles. Engine and Gear Box oils, also Steering Box grease. Parts shed activity is centered around swap meet preparation with a number of items identified as being suitable for sale on the day. These have been sorted and cleaned up so they will present well when on sale. We have seen plenty of activity on Wednesday mornings this year but welcome your visit and can assist with parts supply and identification in most cases. 1937 Buick Special Sedan. OHV Straight 8. Needs restoring. Rego. dead but have old plates and history. Runs, drives and stops very well. New exhaust and all brake cylinders sleeved in stainless. Price $6000. Phone Clive on 0274 409 384. Clive Merry ( Seen receiving awards for P80 time trial and field tests on the Mid Island) Clive was heard to say “How the mighty have fallen” as Clive and Penny showed up in the Mid Island in “Wait for it” A 1988 Toyota Corolla! A Buick above for sale! Are the Mercs too unreliable? The Corolla will certainly be cheaper to run! Tell us more Clive! As mentioned in Lex’s script, apparently Grant Mitchell did the Rock Star act on his Jawa waving to tourists while on route through Queen Charlotte drive and ended up over a bank! Tell us more Grant! Joy and I really enjoyed the evening. We also loved the ' there and back ' car rides. Joy was particularly thrilled with the Hillman . I would make the point that rather than a ' single Tiga ', we actually built 400 Tiga's Best to you all - .Howden Ganley. Being one of our major events of the SCVCC year it was good to see close on 60 vehicles entered. Chairman Ashley put together a different format to usual but a successful days program, although some were a little “frustrated “ at changing gears on the morning, stated ” Tour Of Timaru”, it was surprising how many streets, even for us locals, that we hadn’t been on! A surprise destination for the lunch stop was the Botanical Gardens, which was an excellent venue with spacious parking for all the entrants and shaded areas to have lunch, field tests were held after lunch in the same area. A diverse tour of the district followed out through Pareora Gorge with a stopover in Cave township where the local store did a roaring trade in icecream sales. From there it was on via Rolling Ridges etc to the Gleniti Golf club where prizegiving was held then a very enjoyable dinner combining the 50 year badge presentation to Ron Cooper and Lionel Sutter by Sth Island Club Captain Alon Mayhew. Also a 60 year badge was presented to Barry Barnes, quite an achievement This finished off an enjoyable days event. Thanks to Chairman Ashleigh and his team. Bruce and Jan McMillan, Timaru Welcome to our club and we look forward to seeing you on our club events. The Jonesâ&#x20AC;&#x2122;s in the 1914 Buick .